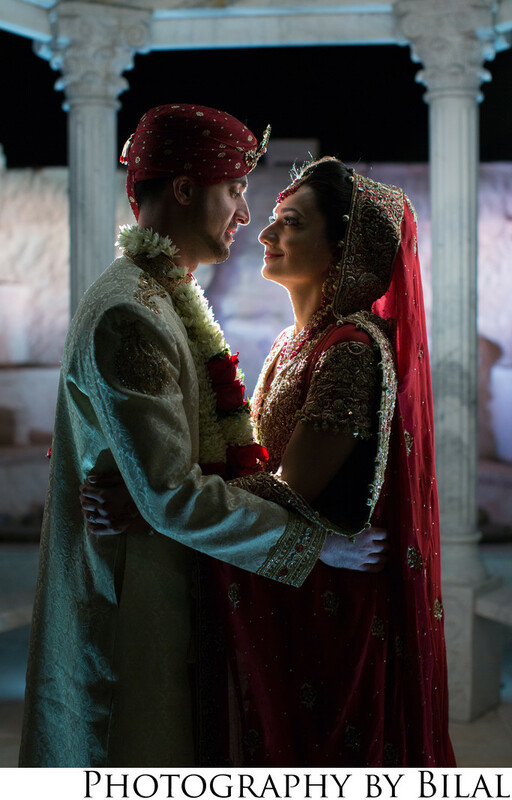 I captured this beautiful backlit image at a Pakistani wedding in Lucien's Manor in South Jersey. For this image I had asked my assistant to stand behind the couple and get low while holding a flash pointed at the couple. This type of shot can get very tricky, because if the intensity of the flash is too strong, it can create blown out highlights. However, if the light power is just right, it will create a glow exactly as you see in this image.